December 13, 2009 – William joins host IFBB pro Richard “Tricky” Jackson on Pro Muscle Radio to talk about his latest book, the Sports Supplement Reference Guide. They also discuss anabolic steroids and other natural anabolic supplements. William returns to continue his discussions with the Muscle Mob about natural and pharmaceutical compounds for enhancing performance and body image. William Llewellyn joins the Muscle Mob to talk about anabolic steroids and dietary supplements, especially arachidonic acid, an omega-6 essential fatty acid with potent anabolic and anti-catabolic properties. William is a guest on No Bull Radio to talk about anabolic steroids and supplements for bodybuilding. Llewellyn is interviewed along with Dr. John Hoberman (University of Austin, TX) on Talk of the Nation, a nationally syndicated radio show on NPR. Topics include BALCO Laboratories, designer steroids, the legitimate medical use of steroids, and the ethics of drug use in sports. Llewellyn is interviewed by Tom Goldman for The Morning Edition, a nationally syndicated radio show on NPR. Topic of discussion is the designer steroid THG, as well as a focus on the legality and safety of steroids in general. Llewellyn discusses issues related to drugs, supplements, and performance enhancement in professional sports during a live, on-radio interview with host Jeff Caves. 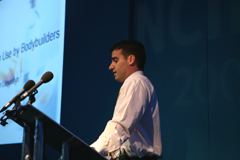 William was invited to speak at the NCIDU 07 conference in Glasgow Scotland on the use of insulin by bodybuilders. Discussion included the biological action of insulin, common protocols of insulin use by athletes and bodybuilders, and health risks associated with the misuse of insulin. Link includes an accompanying article on insulin. 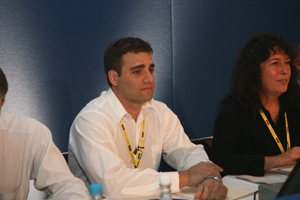 William Llewellyn gives a one hour presentation on anabolic steroids at the NCIDU06 conference at the Lord’s Cricket Ground in London, discussing their history, actions, and benefits, as well as the realistic (and exaggerated) side effects associated with their use. The full speech can be heard at the link below. Includes an article which was written to accompany the presentation.